When it comes to executing an incredible video marketing campaign, the truth is that a lot of it comes down to pre-production. Think of it this way: You know when you’re sitting around in your garage with your bandmates, just noodling on your guitars, and then BAM! You play something, and you’re like, “Whoa, that’s it, the hook that will sell millions of records!” Pre-production is the jam session where video marketing rock stars are born. You see, pre-production meetings are a much-needed chance to talk about shoot logistics and scheduling. But they’re also a chance think differently about your entire marketing strategy, and to brainstorm new, out-of-the-box ideas. And, what’s more, when you have LAI Video backing you up, there’s always be an expert on hand to let you know if your 10-minute video idea—like an epic, wailing guitar solo—may actually reach its zenith somewhere around the 90-second mark. And we’ll walk it back together. If that seems like a lot, remember that LAI Video will be doing the major lifting for you. It’s nice having a big, strong, full-service production house band to play with, right? The point of this comprehensive list is to get your message and strategy down pat before we get anywhere near a camera or a key light, or, you know, the stage. Pre-production informs the work of every maker who will come in contact with your project, whether they’re an editor, shooter, designer, animator or writer so they can confidently rock your message, brand, or event to the extreme limits of video greatness. Anyway, let’s riff on a pre-production best practice that you’ll thank us for absolutely insisting on. When shooting an interview-based video, whether it’s a dynamic, day-in-the-life project with a single interviewee (like the work we did for the Certified Financial Planner Board’s “I am a CFP Pro” campaign), or a multi-interview case study, similar to what we did for real estate developers with these promotional pieces), pre-interviews are critical to confirming you have the right people on board. We’ll contact your subjects together, demo your messaging goals, and try out interview questions we’ve drafted. This is when we develop a sense of each interviewee’s energy and storytelling potential. And it’s not unlikely that we’ll uncover something we hadn’t known or wouldn’t have found out about until the day of the actual interview. We can tease out the best details while prepping our subject for the spotlight. Pre-interviews are a must for helping refine your message—without capturing an interview that feels scripted. Scripting is a great example of how important pre-production is for the quality of your finished video. Because scripting isn’t solely about the words. It’s about exploring all the elements of your concept and making decisions to assemble them in a way that enhances the message you want to share with the world. 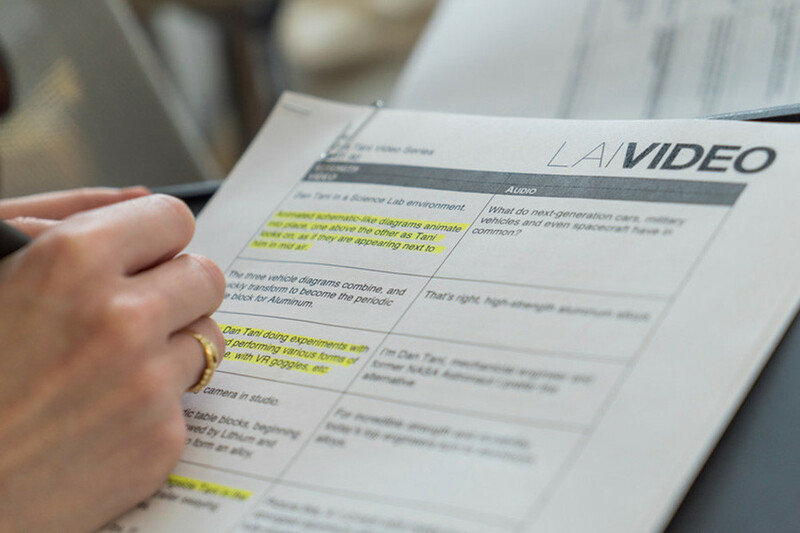 Whether you’re creating a short PSA video (like CropLife America’s Know Your Enemy), a longer animated explainer video (like the Information Technology Industry Council’s video on Artificial Intelligence), or hybrid video (like the Aluminum Association’s Drive Aluminum video) with animation and scripted content, LAI Video can help you find the most compelling narrative for your project. Our in-house writer will consult with you to hit your key messaging goals and help you stick to a running time. We use a two-column script format, one column for video (all things visual) and one for audio (all things ears). It’s also your first glimpse at the finished project. 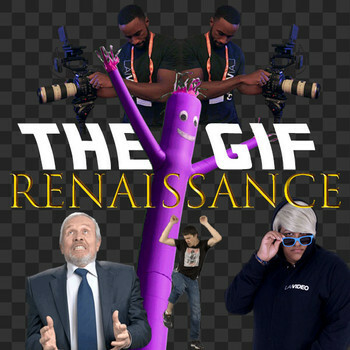 The video column contains brief descriptions of each proposed scene, the content of graphics and animation, including any on-screen text, or stage direction. Some imaginary assembly is required, but the script is structured to show the interplay of the copy and our proposed visual content. It’s the scriptwriter’s job to set your project on a path to success, and to hopefully win a few of those rare un-ironic retweets when all’s said and done. Pyrotechnics, strobe lights, and lasers have elevated many a rock god of old in the halls of fame. But who dreams this stuff up, and how? You might ask yourself the same question when you watch one of LAI Video’s awesome animated pieces. Pre-viz is when the work of our collective imagination is translated into something we can see, judge, and refine. For a live-action narrative, it may be storyboarding, or creating the rough shot-by-shot guide for what the camera sees for each beat of the script. For custom animation, we will move sequentially, refining the look and feel of the video with mood boards before moving on to creating fully-realized storyboards for each unique scene written in the script. Pre-viz is not only about getting your visuals just right, it’s also about making sure we’re on the right track to delivering the video you always wanted, quickly and without hiccups or delay. After everyone’s minds are blown with how good it looks, we’ll blow them all again when we go into production. That’s it for our breakdown of the importance of pre-production. Check out our pieces on the video production process and post-production process to get a better feel for how each step of the campaign process works together. Are you ready to deliver that big sound with your video marketing strategy? Take your production process to the next level by contacting us now. You can also call 202-416-4660, email us, or live chat with a member of our team right now.